Essential oils are pretty awesome! They're super powerful too! We've talked about different ways to use them, how great they are, and what they can do but HOW are they made? When I started doing my own research on essential oils (deciding if I wanted to learn more, where to get them, what to use, WHO to use, etc), how they're made was important to me. Sometimes, I can be a little analytical. I want to know the process from A to Z. It took a while, but I finally feel comfortable with what I've learned about the actual process used to create oils. One of the many reasons why I felt compelled to use Young Living Essential Oils is because of their "Seed to Seal" process. The process helps explain how their oils are made/gathered/distilled too. Let's start WAY back at the beginning - the seed! 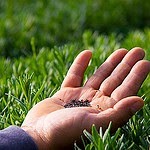 SEED: Choosing the best, genetically unmodified seeds is the first step to investing in producing the most potent essential oils. Young Living authenticates the various plant species before moving any further. Species certification involves scientific research, field study, university partnerships, and on-site planting certification. 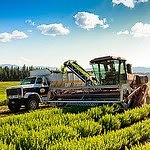 CULTIVATION: Then, through cultivation on the 6 Young Living farms, they've mastered the creation of pure, potent essential oils. The company takes this knowledge around the world to co-op farms to certify that these farms’ growing processes meet their incredibly strict quality standards. Young Living chooses to work directly with farmers in co-op farms and do not buy from brokers who may not have any involvement and understanding of the need for highest standard cultivation processes. DISTILLATION: Young Living’s proprietary low-temperature, low-pressure steam distillation process ensures that the beneficial plant compounds in every batch of essential oil remain un-compromised during the extraction process. 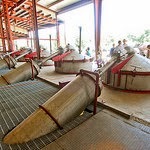 (An example of the fine art and science of distillation involves distilling Cypress. It requires about 2,000 pounds of cypress to yield ‘one’ pound of cypress essential oil. When it is distilled at ’0′ pressure for 20hours at 220 degrees, the finished product contains 280 aromatic compounds (those compounds provide far more benefit than simply smelling nice, they provide healing). But, when it is distilled for 26 hours, you end up with “0″ compounds. TEST: Each essential oil must pass Young Living’s own stringent testing to ensure the optimal bio-active natural compounds are present. 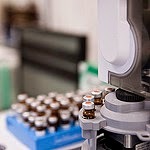 Young Living uses its own internal labs, in addition to third-party audits, to verify that international purity and potency standards are met and surpassed. 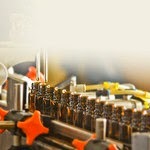 SEAL: Young Living completes the Seed to Seal process by carefully sealing each bottle of essential oil before shipping them to members worldwide. One thing I really LOVE about Young Living, and something I really think sets them apart from others - aside from their Seed to Seal Process, is that anyone can go and visit their farms. They're not in a secret location, they are VERY open as to where they're located and they invite others to come and watch them being harvested (sometimes even participating in the harvest!!). When I was doing MY research on what company to utilize and use I wasn't able to find the same information about other oil companies. 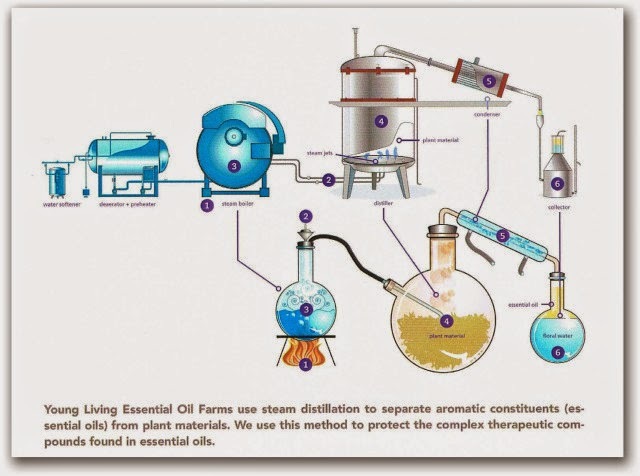 Something else that sets Young Living Essential Oils apart from other essential oil companies, is that they use the first distillation. Meaning, they apply pressure and steam to each batch of plants ONE TIME, this distillation is referred to as a "first distillation". Other companies, apply pressure and steam up to 5 times, mixing the extracting fluid together. What does this mean to you, as a consumer? 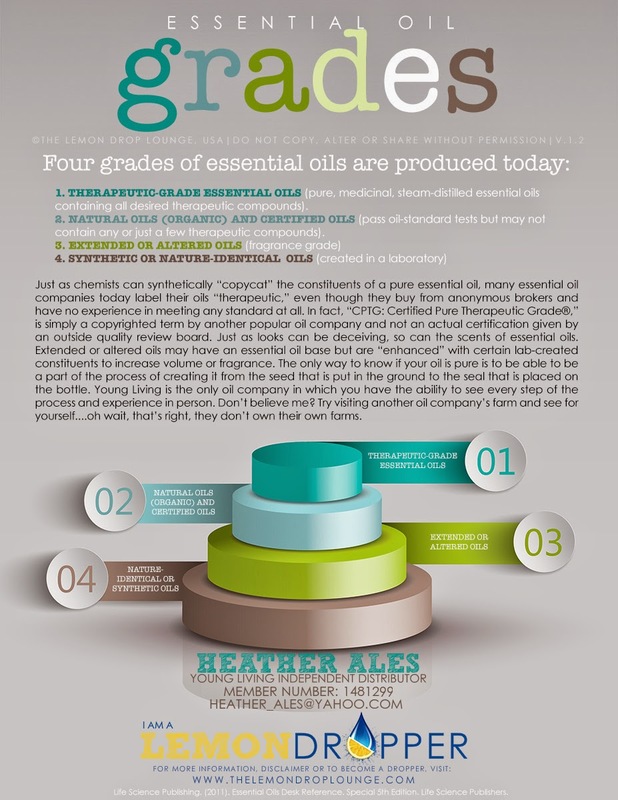 You could be purchasing lower quality (grade) oils without even knowing it, sometimes even paying more money for it too! If you're ready to begin YOUR oily journey, I'd love to help you out! Heather.. Enjoying your info!! The grade of oils is so helpful in my "gathering"process".